Location: Texas Star Party 2014, Prude Ranch, Davis Mountains, Texas. Processing Information: Acquisition in BackyardEOS. 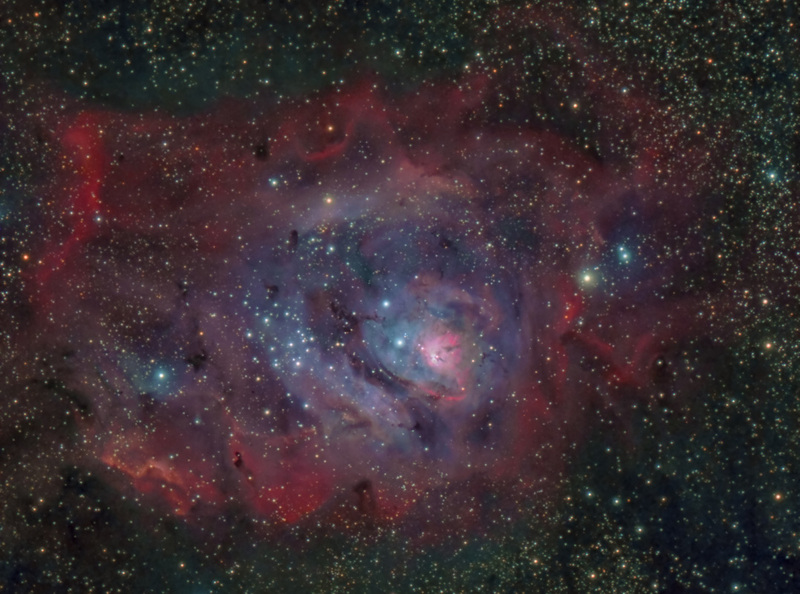 Calibration, Registration, and non-linear noise reduction and stretching in PixInsight. Color balance, levels/curves, sharpening, star repair, and cropping in Photoshop CS6. Color Blotch Reduction, Deep Space Noise Removal, and Local Contrast Enhancement in Photoshop via Noel Carboni's Astronomy Tools Actions for Photoshop. 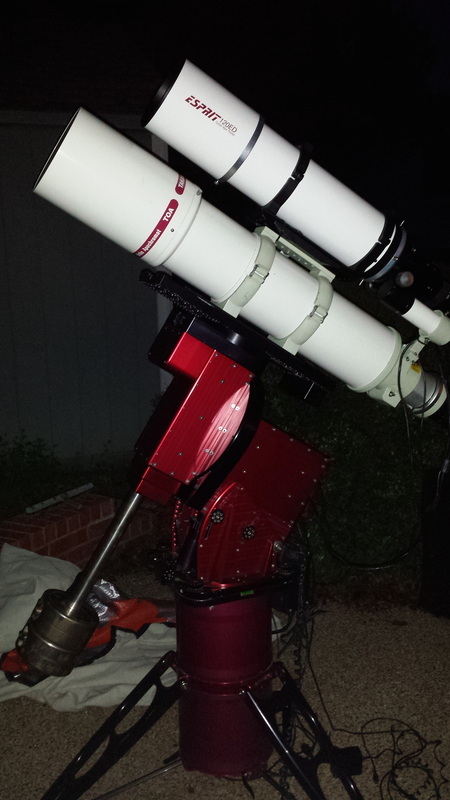 Exposure Notes: I am privileged that Skywatcher USA is wanting me to do some imaging through their refractors. This 5" refractor is a nice sized scope, and just like its 6" big brother, which I have imaged with here, is a great performer at any price. Do not try to judge optical performance by the quality of the image, however. I'm not a fan of DSLRs for such things, and the 14-bit performance of the Canon 60Da makes it very difficult to image the stars well. Therefore, a lot of post-processing goes into star repair, at least in order to make for a good image. Even so, for 40 minutes of total exposure, it's a nice result. As for the object itself, many exposures of the Lagoon, or any emission source for that matter, do a poor job of showing the reflections of the hot, young, blue stars in the cluster. This image consciously tries to preserve that; so, if there is more blue than you have seen - or a wider color palette - then now you know the reason.